We all love prints, but have you ever made a project using nothing but solid fabrics? That's what we're challenging you to do with the CMQ Solids Challenge. But that's not all. 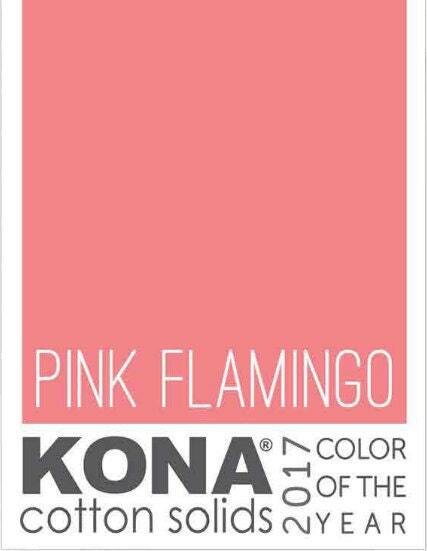 Have you seen Kona's Color of the Year, Pink Flamingo? If we give you some of this fabric can you figure out how to incorporate it into a project? That's the idea behind the Color of the Year Challenge. That's right - there are two challenges here and a prize for each category. Choose to participate in one or knock out both challenges by making a project using only solid colors including Pink Flamingo. Solids Challenge: Make a project using ONLY solid-colored fabrics - and that's fabrics plural, so it has to be more than one! 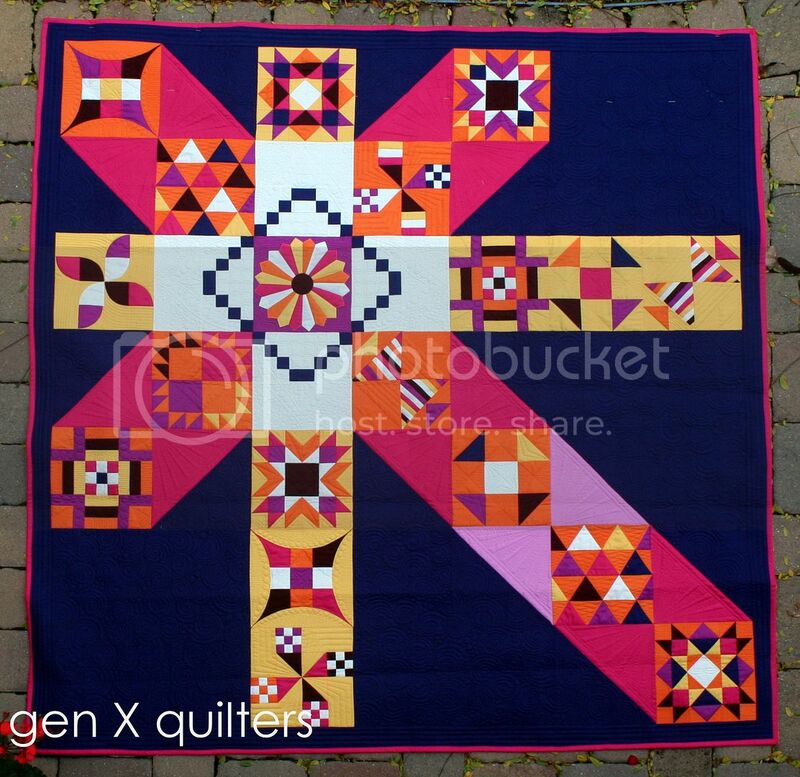 And solids means solids, so no low volume, no grunge, no shot cotton, like the Moccasin Sampler from Gen X Quilters above.. You can make anything you like - a mini quilt, a fabric basket, a bag, so long as piecing or applique is involved. You'll be judged by your peers, who will choose their favorite final product. As a side note, Moda's Bella Solids Challenge is still going on. If you're working on that contest, feel free to use your project for our challenge as well. Color of the Year Challenge: Use Kona Pink Flamingo in your project. It's that simple. We just want you to make any pieced/appliqued project you desire but incorporate this color in any quantity you choose. If you attended the April meeting, you went home with some of this fabric. Again, it cannot be the ONLY color in your project and piecing or applique must be involved. Make a mini quilt, fabric basket, bag, garment with piecing, whatever makes you happy! The group will vote on their favorite use of the color. Ready to sign up? Click Here to register. Projects are due at the June meeting. Also, click here for the CMQ Challenge Rules. You must be a dues-paying member to participate, so make sure you're paid up! Questions? Email Rachel at rbuccicone@gmail.com.